Choose Size* S Narrow 12 - 17.5" L 13.5 - 22.5" XL 12 - 25"
Up Country Martingale collars are a gentle way to have control over your dog. Escape proof for those dogs that pull or back out of their collars. Martingale dog collars create an even tension around the neck avoiding neck and throat injuries. 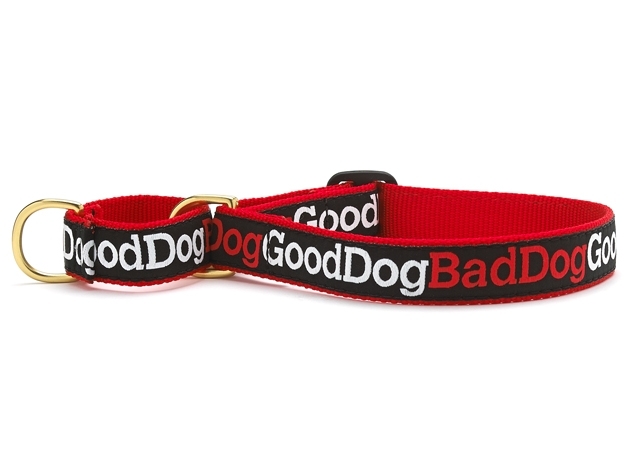 These collars are made from high-tensile strength nylon webbing with sewn on polyester nylon ribbons. They are stain and fray resistant; washable and designed to last. All collar hardware is cast, not welded, brass. Small (N) 12" - 17.5"
Medium (W) 12.5 - 20"
Extra Large 15 - 25"
Please note: Martingales are never to be left on dogs unattended.